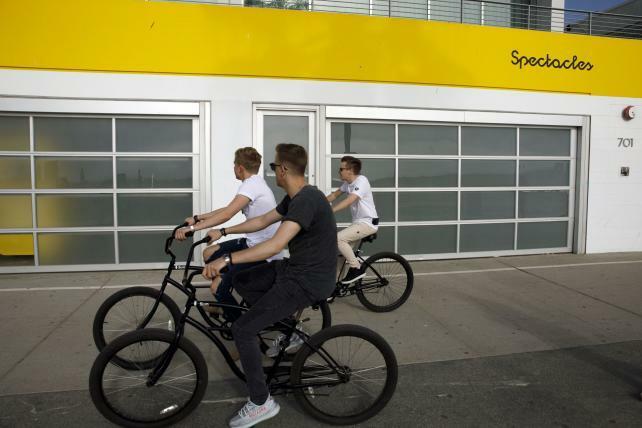 Cyclists pass a closed Snapchat Spectacles pop-up store on the boardwalk in the Venice Beach neighborhood of Los Angeles on Wednesday, Feb. 7, 2018. The company hasn't given up on its wearables yet, but the first iteration cost it millions in unsold glasses. Snap Inc. confirmed it cut more than 120 engineers, as the company works to emphasize performance in the organization, according to an internal memo. The round of job cuts are Snap's biggest to date, after a turbulent year that included a rethinking of its advertising business, an exodus of top executives and a widely critiqued redesign of its main application, Snapchat. The Los Angeles-based company's shares had declined 16 percent in the past year through Wednesday's close. "We want to unleash speed and productivity in our organization, while keeping a high technical bar," Snap's head of engineering, Jerry Hunter, said in the memo to engineers, earlier obtained by Cheddar, an online news network. "That required us to think carefully about the shape of the organization, and where each member of our team fits."